The paperwork has been filled out, the flight booked, the bags packed, and before you know it you’re finally at your new ILSC campus – ready to start this next chapter of your life. There can be a lot of excitement associated with attending ILSC. Meeting new people from all over the world, in a new city and absorbing the culture, all while receiving an amazing English education – it’s a recipe for adventure! A lot of the preparation in coming to ILSC has included picking courses and programs, organizing your accommodations and confirming travel plans, but maybe you haven’t given much thought about your options while you make yourself at home at ILSC. With over 130 programs and courses, in 7 cities, the possible combination of options seems endless – that’s why we’ve rounded up #TheFastFive options students have once they’ve begun their ILSC journey. Most people are aware of the English training programs provided around the world by ILSC, but some people may be surprised, (and pleased!) to know that ILSC also provides high-quality French education programs as well. 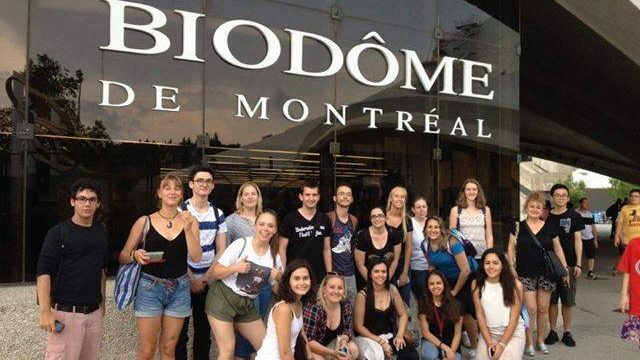 Based out of ILSC in the historic and beautiful Montréal, there are several unique courses and programs at our bilingual campus including French through Montréal course, the Volunteer Experience Program (available in English or French), the English through Food course, the French through Fashion and Design course, and many more! In addition, ILSC is the only centre in Quebec accredited by Cambridge University to deliver CELTA. If you find that French is your passion, try our CEFLE Program, which will prepare you for a career teaching French – c’est bon! Greystone College – a part of ILSC Education group, has been offering quality vocational training programs for both international and domestic students for 15 years in Vancouver, Toronto, New Delhi – and coming this fall, Montréal! Programs range from Business to Tourism and Hospitality, to Teacher Training, to Interpretation and Translation. Many students attend ILSC and once they complete their program, transfer to Greystone College to pursue one of these programs. Greystone also offers co-op and practicum options to help students gain hands-on work experience in their chosen field of study. ILSC Business College campuses are located in Australia and offer Vocational and Education Training (VET) programs that meet the standards set by the Australian Qualifications Framework (AQF.) Students who complete a program at ILSC Business College will leave with valuable skills in business, leadership, international trade, and business management, and will gain qualifications that are recognized internationally – and an awesome option for ILSC students! 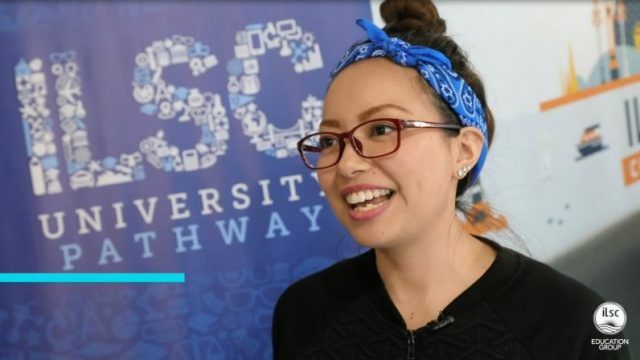 ILSC’s University Pathway program is a popular program that provides students with a seamless transfer into one of ILSC’s reputable partner colleges or universities (with no IELTS or TOEFL required!). After coming to ILSC and improving your English, you may begin to think about your next steps. If you want to have a college or university experience in a new city, this may be the perfect fit. In the program, we can help you find the right college or university program to meet your goals, and help you apply. Complete a minimum of two levels of required University Pathway courses and you’ll be ready for success in over 100 college or university programs! Even more, ILSC’s Academic Excellence Assurance supports you to achieve your goals. ILSC can help you keep moving forward to your ultimate goals. We offer a number of Test Preparation Programs for a variety of popular official language tests required for work, study, or immigration abroad. Many of our campuses are also official test centres, so you can prepare for, and take the test all in the same place. Official tests that are offered at ILSC include the Cambridge English Mastery, IELTS, TOEIC, TEF and TEFaQ and CAEL assessment. Many of these tests are widely recognized around the world and are the perfect stepping stone to helping you reach your goals. Once you arrive at ILSC you can learn more about each test, and our student advisors are here to help you find one that fits with you and your dreams. The activity program at ILSC is certainly a student favourite, and the reason for many friendships and memories made. Each month, an activity calendar is prepared and (almost!) each day is planned to include a fun, educational or exciting experience. For example, this month at ILSC-Vancouver you have the opportunity to visit the Rocky Mountains, attend a resume workshop, dance in a Zumba class, or join the soccer team. In Brisbane, your week could consist of a fun karaoke session, a MasterChef cooking class or learning how to make the perfect coffee in Café Work Skills 101. Our activities include both free and paid options, and of course, are designed to be as diverse as our students! Check out both current and past activity calendars for each location here! 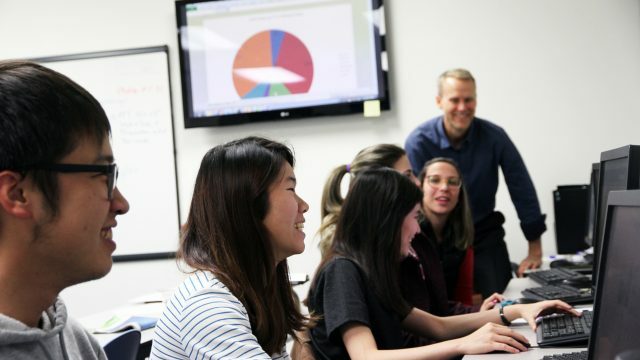 With options ranging from exciting activities to academic options – and with all the support you need – you can customize your ILSC experience to be as unique as you are. Whether you plan to continue to university or learn French, all of the choices here prove that once you come to ILSC, the adventure really begins. Learn more about how you can begin your journey here!